She's Fantastic: Power Rangers Samurai - RED RANGER LAUREN! 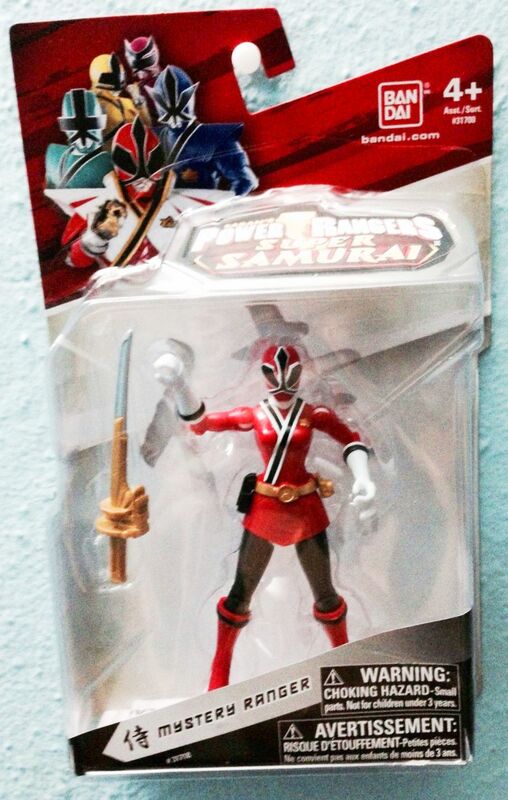 Power Rangers Samurai - RED RANGER LAUREN! I honestly never ever expected there to be a female Red Ranger. I have an ocean of Pink and Yellow Rangers, with a smattering of Blues and Whites, but I always expected the head Red spot to remain a boys club. Power Rangers Samurai was the 18th season of the show that aired in the US in 2012. 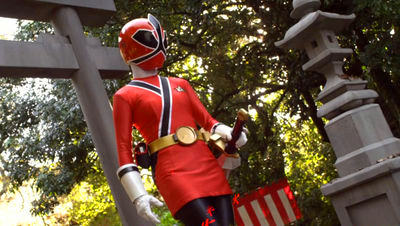 The Red Ranger for the majority of the season was Jayden Shiba, but by the end of the season, it was revealed that the true Red Ranger was his sister Lauren. From what I gather it was a situation very similar to Queen Amidala.. they knew she was the real Red Ranger the whole time but felt the need to hide her in plain sight. This toy was a very late addition to the Samurai line. In fact, I'm 90% sure she wasn't released in North America at all. I spent an unproductive year waiting for her to show up at Ross or Big Lots before finally caving and ordering her from Europe. I'm really glad I did too because she's becoming very scarce and now that I have her I can't imagine not having her with the rest of my Ranger ladies! They really went the extra mile with the "Mystery Figure" packaging. The figure is completely hidden from view with a character silhouette on the box graphics. The packaging below is a variation I've seen on eBay. Lauren comes with a sword accessory. She has the same body as the first release Yellow and Pink Rangers with all their amazing articulation and poseability. Here is the fold-out packet she comes with too. And here are a couple pics from the show. I've collected Power Ranger figures since the beginning. As soon as I saw this I ordered one. Thanks for the review!